Confused about which type of lip protector to buy? See our Lip Protector Comparison Chart! 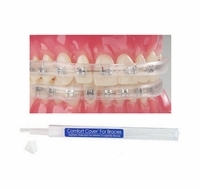 Use these handy products when wax alone isn't enough to protect your tender gums from your braces. 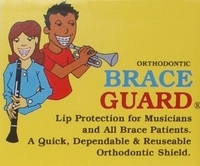 These products cover your braces and form a shield which lasts for hours. We have several types of lip protectors. 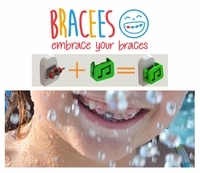 some of them cover the braces entirely. Some of them cover only the front of the brackets. And some of them, such as Brace Guard, are made especially for wind and horn musicians.